To those who ask “does the MMR not cause autism?”… It is now known ‘that’ study by Wakefield was completely flawed, not robust and has been completely superseded by subsequent research. Multiple studies in multiple countries have not substantiated those claims. The first major reason is that the General Medical Council (GMC) investigation struck off the author and ruled the research was “dishonest, irresponsible and showed callous disregard for the distress and pain of children” (NHS, 2010 quoting GMC, 2010). It was also unethical as children were subjected to unnecessary invasive tests, and, in actual fact the real medical records could not be traced to those reported in the journal! The media were also told off for their naive reporting of such a non-robust study. A good summary of the GMC findings can be found here, on the NHS website, and the full GMC findings here). A HUGE reason not to believe the original research is the fact it was retracted by the journal which published it! The original research by Andrew Wakefield?and published in The Lancet in 1998 studied “12 children (mean age 6 years [range 3-10], 11 boys)”. The research found that “Onset of behavioural symptoms was associated, by the parents, with measles, mumps, and rubella vaccination in eight of the 12 children, with measles infection in one child, and otitis media in another. All 12 children had intestinal abnormalities” (Wakefield, 1998). I’m sorry, but a study of 12 children of such varied ages, all of whom had other medical issues, and, where it was the parents who said that these behavioural symptoms were associated with the MMR, is not robust, and not statistically significant. I really can’t believe anyone published it, never mind it was taken seriously. To me this shows the danger of the media, and I completely agree with the court case. One study I have to mention is the largest ever study of it’s kind, and found no link between the MMR vaccine and autism. The study was published just last year (April 2015) in The Journal of the American Medical Association (JAMA). This study involved 95,727 children aged 2-5, including both children who had and had not received the vaccine. It also included 2,000 children who were at a higher risk of being autistic. The study found no link, no higher autism rates in the vaccinated children, and crucially no higher rates of autism in the children who were at a higher predisposition to have autism. I read a summarised version of the report on Autism Speaks here, and also the original in JAMA here. For goodness sake a robust study must contain more than 12 children, must have a control group and must not include what has been called faked data (it couldn’t be traced to the original medical files apparently!)! It all seems so flawed, it’s a shame it took so long for the article to be retracted and caused such a huge impact on the uptake of the MMR vaccine. I respect that everyone is entitled to their own opinion, but surely the experts know best? Surely all the research and boards these vaccinations pass tells you something? Surely the fact the government pays for EVERY child to have these tells you something? Surely the fact that the incidence of measles, mumps and rubella increased following the media circus that followed Wakefield’s press conference, show these vaccines work. These vaccines help keep all of our children safer, so please just give them the immunisation. Childhood vaccinations are important and help protect baby from horrible illnesses. Why would you not protect your baby from them? Brilliant! I have looked at this research many times myself but it’s a really useful tool to have it all summarised and linked in one place like this. Thanks! Thank you for your kind comment. I put a lot of work into this and really feel quite passionately about it now. Absolutely! I do wonder, if like so many other things, it’s partially due to quicker and better diagnosis and a higher tendency to seek a diagnosis. We asked our GP about this specifically and he said that doctors had got better at diagnosing autism. The statistic to look at, apparently, are the ones relating to vaccine uptake and autism. If there was a link between the two, the cases of autism would have gone down according to him and they hadn’t. Great post! I entirely agree with your points and it’s good to see all the facts in one place. Bloody Andrew Wakefield makes me so angry. He has done untold damage and children have literally died because of the unethical, unscientific rubbish he wrote. Both my boys have ASD (one diagnosed and the other too young) and it would be easy for me to say their traits started appearing around the time of the MMR. In truth, though, with hindsight I can see the signs were there from when they were tiny babies. Lady Nym recently posted…Has Autism Increased? 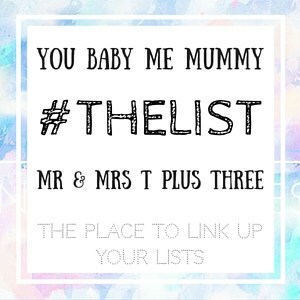 Talya recently posted…Welcome to the #coolmumclub…week 13! My son is currently being assessed for autism and his pediatrician thinks he will get a diagnosis by the end of the year. I don’t blame the MMR vaccine at all. It’s such a shame that so many are bow afraid to give their kids the MMR vaccine. Well done for pointing out why the link to MMR and autism is a load of bull with evidence to back up your argument too. Thanks for this interesting post. While I agree that the Wakefield study was clearly flawed and isn’t useful in anyway, there are some interesting points at the moment, particularly with countries like Japan. they have changed introducing vaccinations until after 2 years of age. I’m still looking into it all but as you know, there is so much out there! Amen to this, all of this. When I read the title I must admit my heart sunk and I thought oh no not another vaccine story. The whole thing has been so damaging to autism and has lead many people in what for me is the wrong direction. I am not in thebusiness of looking for cures, I see my role as an autism parent as loving and supporting my child and helping others to understand how he sees things, not in trying to change him! Awareness and acceptance not cures! 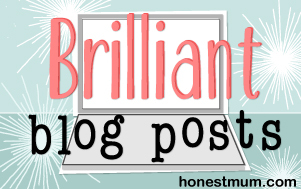 Bumbis Mom recently posted…Part 2: What Are We Blogging For? Excellent post. Still hearing people not wanting to vaccinate and quoting supposed evidence… good to see some real research!!! I am baffled that people still blame autism on vaccines when it has been YEARS since the study was retracted and the myth was dispelled. Thank you for sharing this, the more that speak and educate on this, the better. While working on my BSN, I took every chance to write, speak, and educate on this topic, especially in my general education classes. I was surprised by the uproar of Mark Zuckerberg’s picture on Facebook from Max’s 2 month well baby appointment and the statement of her getting her vaccinations. I made following statment on Twitter “Other parents choose to vaccinate their babies and children beside Mark Zuckerberg. #vaccinate #sayyes #ichoose #herdimmunity #mamacurtiss” to which not a single person ‘Liked’ or responded at all. I sum it up to fear of judgment from the anti-crowd. As a new mama of a beautiful 10.5 week old baby girl, I vaccinate to not only protect my baby but to also protect yours. You’re spot on and this is something every parent should read! Other important factors to consider, in addition to the study not being scientifically valid, reliable or otherwise sound, is that the onset of autism symptoms occurs at around the time of MMR vaccination even in children who haven’t been vaccinated. That’s just the point in the child’s development where the differences become apparent. It’s great to read some proper research! Very informative too. As if parents don’t worry enough, they had to worry about this too. I will confess to not vaccinating my girls with the annual flu vaccines, BUT they are up to date with all of their childhood vaccines. I believe this is so important for both the child and the ‘greater good’. I feel for parents who have autistic children and who have believed their actions caused it. My own nephew did not have the development pattern where everything seamed ok and then suddenly seems to go backward, and my brother never believed the link theory anyway, but for some people the timing of the injections and the onset of observable symptoms are so close that its not hard to see why the two were believed ro be linked. This is so interesting, especially to me as we have had so many issues following the MMR. Before the MMR Megan was a “normal” baby, a few medical issues but she had grown out of them quite well. Within an hour of her MMR jab she was completely paralysed, lost the ability to speak, move, walk. She was rushed into hospital where she was seen by several specialists, one of which had to Google this condition, and we were told that she had had a severe reaction to the MMR and it had, hopefully temporarily, affected her brain. It took several days for her to regain the ability to speak/walk/function and yet after that moment she seemed changed, indefinitely. She is now waiting to be assessed for ASD (which they wont officially do until the age of four) and I know that it is all likely to be a coincidence, and the reaction was so incredibly rare, but part of me does think, what if? Yes! It really worries me when parents blindly follow the ranting of The Daily Hate and other rags without checking beyond the headlines. Thanks for this. This is really interesting to read. I didn’t know that there were links between the MMR vaccine and autism but I’m glad to know that anyway that it is not the case. Another great post! 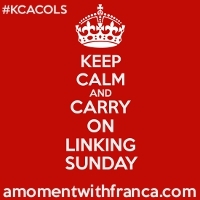 Thanks so much for sharing such an informative post at #KCACOLS. I hope it helps people who still has the doubt about this. This is a really interesting read and I’m glad I came across this post. I’ve never believed in the ‘link’ between MMR and Autism, but I do agree that everything we use to make ourselves feel better has a side effect. Some are completely devastating. I am sure the MMR has resulted in plenty of bad reactions and very, very rare issues as an above commenter said which is just awful. There is a part of me, however, that feels we always want a situation or something to blame when there’s a change. I know people with autistic kids who are working with real big studies looking into genetics. That is where the serious research is going, but not only does the vaccine nonsense put community immunity at risk, it also sets back autism awareness and suggests “blame” for a neurological variation that now looks like it’s genetic. The often used “but my child COULD talk and now can’t” shows a heart breaking lack of understanding about regressive autism – a form where communication initially seem ok but then the child becomes selectively mute, or unable to form words. This typically starts at the same age kids have the MMR. It’s the age it always happens if it’s that type of autism – and there are many cases where it happens with no vaccines taken or shortly before. This type is one they are now – in proper studies – looking into from a genetic angle. So people pushing the vaccine story not only reduce vaccinations but also cause needless heartache, blame, and confusion to parents going through diagnosis. Perdita on Toddler puzzles: Orchard Toys Once Upon A Time puzzle?